About GasPedal | Andy Sernovitz | Damn, I Wish I'd Thought of That! 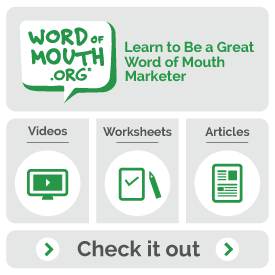 We’re word of mouth marketing experts. We’ll teach you how to get people talking about you. You’ll master the art of earning good buzz by being a remarkable and respected company. You’ll learn how to keep it going with cool tools like blogs, viral email, evangelism, communities, and social networks. 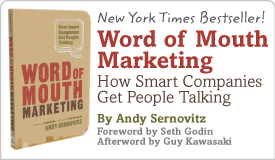 Word of mouth marketing is something you can do very well. We’ll help you be self-sufficient, quickly, with simple-but-intense training, deep workshops, honest answers, and eye-opening ideas. Our fast, focused consulting gives you easy-to-execute ideas that deliver results in less than 60 days. GasPedal clients are incredibly intelligent, effective executives with suspiciously good looks and excellent taste. They include AIG, ABC, Kimberly-Clark, Sprint, Polo, TiVo, and many more.